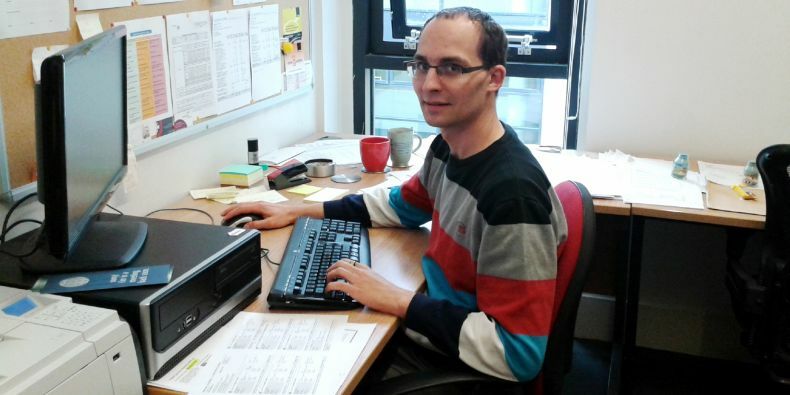 Daniel Kráľ is one of only three Czech researchers to obtain two ERC grants. University published a call for applications for this prestigious grant in September last year and promoted the competition in Science. Masaryk University is pleased to welcome a distinguished addition to their numbers. Daniel Kráľ, one of the world’s leading experts on graph theory, is the winner of the Muni Award in Science and Humanities grant competition. The funding of 5 million CZK (€197,000) a year received for a five year term will allow Kráľ to move from his current position at the University of Warwick, UK to the Faculty of Informatics at MU, and to bring with him his project financed by the European Research Council (ERC). MU published a call for applications for this prestigious grant in September last year and promoted the competition in Science. “We took this step in response to the recommendation of the MU International Scientific Advisory Board, although it is something we had long been considering even before that: to try and focus a significant portion of the funding available through our internal grant agency on world class researchers from outside the university,” says Petr Dvořák, the MU vice rector for research. “I am very happy that I was chosen as the winner of the competition and I am grateful to Masaryk University and the MU Faculty of Informatics for the work conditions they offered me. The funding provided by the Muni Award in Science and Humanities will secure the financing of my research group and I would also like to use it to strengthen our ties with important research groups in my field within Central Europe, especially Berlin, Budapest, Krakow, Pilsen, Prague, Warsaw, and Vienna. I would also like to organise several research schools, or one week intensive courses, on the current research trends on the borders of computer science and maths for PhD students from the whole of Central Europe,” says Kráľ, who will transfer to MU in September this year. Daniel Kráľ graduated in computer science at Charles University, where he also received his PhD in 2004. After working at a number of universities both in the Czech Republic and abroad, he has held a professorship at the University of Warwick since 2012. His research received the support of two ERC grants, one in 2010 and the other in 2015, and he is one of only three Czech researchers to obtain this prestigious funding. 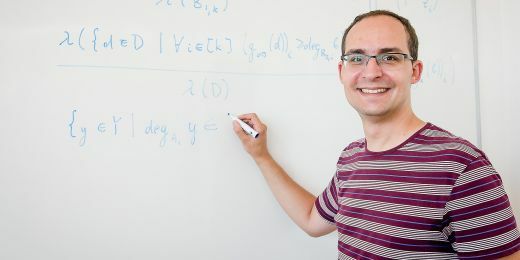 Moreover, he is the laureate of several prominent awards, including the European Prize in Combinatorics in 2011 and the Philip Leverhulme Prize in Mathematics and Statistics in 2014. “We are delighted that we can welcome an internationally recognised colleague from an excellent British research university. I am happy that he was so pleased with our offer that he gave it preference over the other institutions that were among his options. I trust that the appointment of Professor Kráľ will contribute to the excellence of computer science at our faculty and that his team will further enhance our faculty’s professional qualities and standards of academic practice,” says Jiří Zlatuška, the dean of the MU Faculty of Informatics. The Muni Award grant competition received ten applications. Three selected applicants were invited for an interview, which included a lecture by the applicant. The winner was then chosen by a committee of distinguished scientists from the university in a two round selection process. Masaryk University plans to make the Muni Award a regular competition to attract more renowned researchers to Brno and will publish another call for applications in the coming weeks.